Is hook-free fly-fishing the next big thing? Hooking and reeling in the fish is material only if you plan on eating it, which most anglers don’t these days. And catch-and-release fishing takes its toll on the fish. One thing I pondered recently on a river in Montana: Maybe fly-fishing doesn’t have to be about hooking fish. 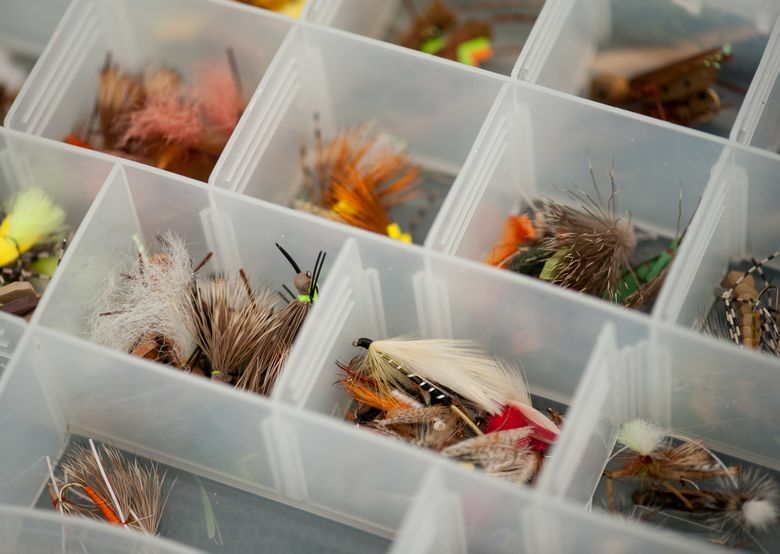 The sport, or art, or however you regard it, is in reading the river, thinking like a hungry trout, and maneuvering the well-chosen hand-tied fly on the end of a whirling line and depositing it where a fish is ready to strike. Hooking and reeling in the fish is material only if you plan on eating it, which most anglers don’t these days. So why not fish with hookless flies? That came up in a conversation I had last fall in Yellowstone National Park with confirmed Western outdoors­woman Shauna Baron, a naturalist and guide in the park. Baron said she loves the sport of fly-fishing. But she wasn’t wild about pulling hooks out of squirming fish — the equivalent of surgery without anesthesia — when practicing catch-and-release. So she asked her boyfriend, who ties his own flies, to make her some without hooks. In fact, one of the challenges to fly-fishing Montana’s Gallatin River in autumn, my guide told me, is that many of the fish have already been caught and released so many times over the summer they are weary — and a little wary. Well, I don’t know. After my first experience with fly-fishing, I itch to try it again. I’m hooked. But maybe the fish don’t need to be.